Last weekend saw me back in the friendly city of Swansea in Wales. 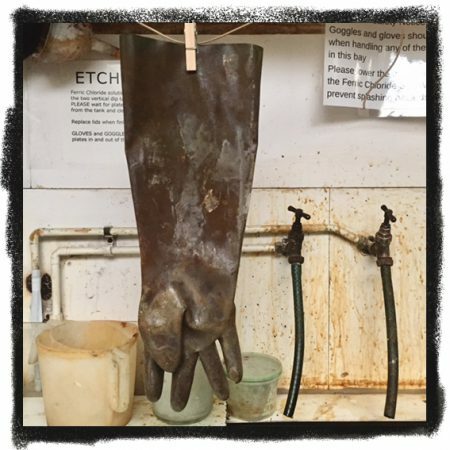 I have returned several times now since my residency with Swansea Print Workshop back in 2011. My first port of call is always the old market to eat fresh hot welsh cakes and a cuppa. 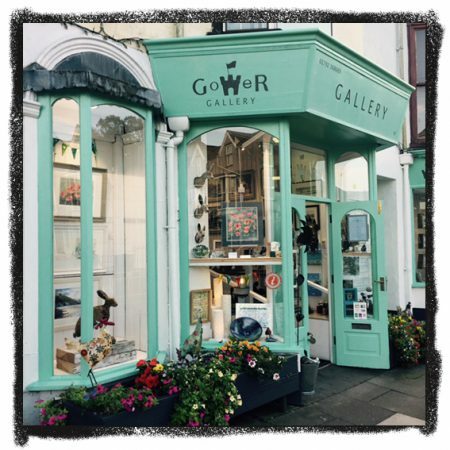 I was in Mumbles to visit the fabulous Gower Gallery on Newton Road and met up with the wonderful Arwen and Zara who run a very tight ship there indeed. Talking about ships, my Helwick screenprint is sold here. The real Helwick lighthouse ship is moored up in the old Swansea harbour. It’s wow factor was what inspired me to draw it back in 2011. Back then I started the print edition at swansea print workshop on a paper size of 56cm x 38cm but a couple of colours in I decided that the print needed to be BIGGER (for added wow factor) so I drew it up double the size onto 76cm x 56cm and printed in back at Edinburgh printmakers Workshop in an edition of only 10 and called it Jewel Of The Marina. (Number 1 of 10 can be seen below in the Swansea Print Studio). I have since gone on to complete that first edition with a paper size of 56cm x 38cm, titled ‘Helwick’ and is exclusively sold at the Gower Gallery (as seen framed in the gallery above) in an edition of 25. 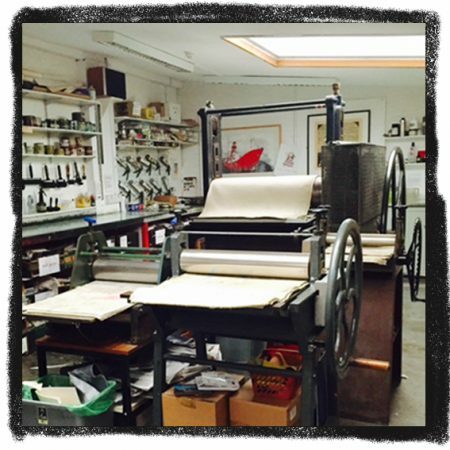 Swansea Print Studio with the large Helwick seen on the back wall. These gloves were asking to be photographed. This blog entry wouldn’t be the same without them!